I like beer. I’m just going to throw that out there. I don’t like getting drunk, but I really enjoy trying as much as I can. That’s weird because I was kind of a late bloomer when it comes to alcohol. I didn’t have my first beer until I was almost 22 and even then it was occasional and it wasn’t until we moved to Kalamazoo that I discovered craft beer. I love the growth of the beer industry in Kalamazoo over the last year or so. I’ve been able to make it to all of the open taprooms except for one. 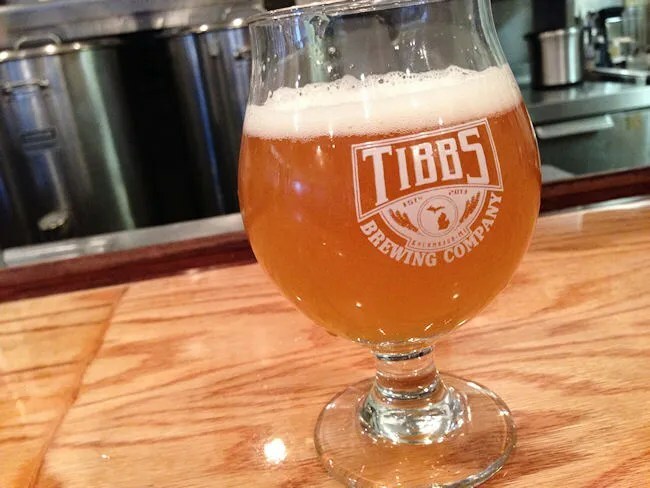 Tibbs Brewing is only open on nights that I have to work, so I haven’t found a time to get down there yet. 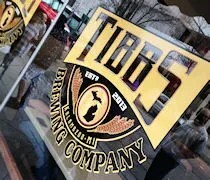 Tibbs Brewing Company is on the corner of Burdick and Lovell in a small corner space that was last occupied by Barista Blues West. It’s not a big place. There’s enough room for a decent sized bar and a handful of tables. On busy nights, you are really going to be squeezed in there. I mentioned earlier that that they’re not usually open on nights that I’m off, but this past Sunday was a special night. REO Speedwagon was playing at the State Theatre next door, so they decided to open up and take advantage of the location. I had no interest in the concert so I waited until most of the crowd started to file out of the brewery and next door to the show. I sort of hung out outside until I saw a spot open at the bar then I swooped in to enjoy a couple beers. The beer menu was pretty limited because Sunday is usually a brew day. There were only three options. An IPA, Lovell Double IPA, and Hel-Jen Belgian Tripel. I started with the Lovell Double IPA. When the glass was poured, I thought there was a little too much head, but that actually gave it a really strong citrus-y aroma. It wasn’t super hoppy, but it had a great smooth taste. I really liked this offering and I would go back based just on this beer alone. 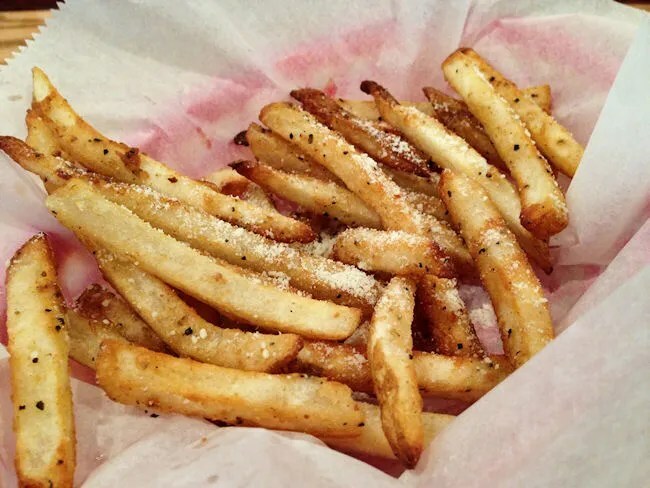 While I was working on beer number one, I put in an order for Parmesan fries. They don’t have a huge food menu, but they do offer some pretty good snack options….much better than salty bag snacks. They have a little kitchen just out of view of the bar where they whip up something to go along with the beer. The fries I ordered took a little more than five minutes to appear in front of me. They looked to be fresh-cut, skin on fries covered in grated Parmesan cheese. The fries were very crispy and very delicious. As I finished up the fries and the first beer, I got the bartenders attention and ordered a second. The other option I wanted to try was the Hel-Jen Belgian Tripel. I don’t drink a lot of Abbey Tripel’s, but this one was pretty tasty. My total for two beers and fries was a little under $20. Most importantly, I’m really happy Tibbs was open on one of my nights off. I was actually pretty tired and just kind of wanted to go to bed, but the quick trip downtown was worth the little bit of sleep I missed out on. 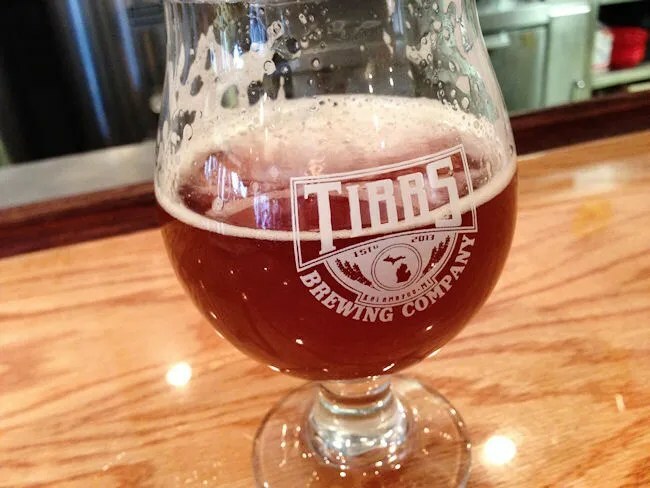 Tibbs Brewing is another great addition to the beer scene. The owner told me they were about to double production with the hope that they will be able to open a little longer. 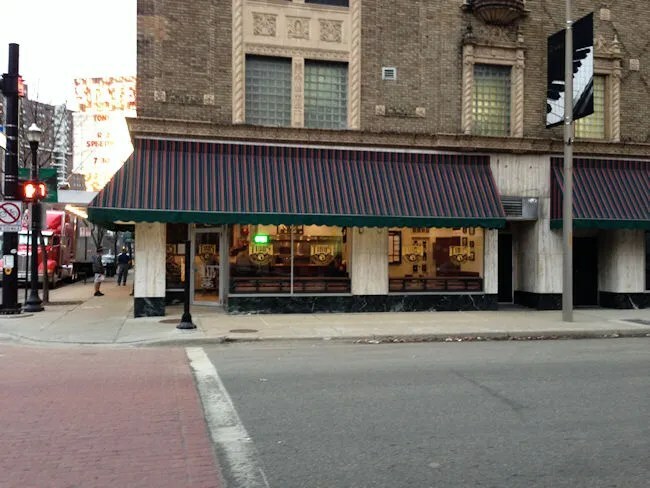 They have a really great location right next to the State Theatre which I assume they’ll take advantage of and I look forward to more nights where I can get away and grab a beer in a laid back yet comfortable brewery.